Sony has shared a teaser on its Sony Xperia Google page showing the Xperia Z with Android 5.0 Lollipop's lock-screen notification feature and the tag "Coming Soon", indicating that the Japanese company could release the new update to the first generation Xperia smartphone, ahead of the newer Z1 and Z Ultra models. Sony had announced the start of the Android 5.0 Lollipop update rollout for its Xperia Z3 and Xperia Z3 Compact smartphones in the middle of March. However, the rollout was very slow, as Sony, appeared to be pushing out the update only to a handful of devices in order to check for bugs before expanding it to its other devices. Earlier, there had been reports of Xperia Z2 users from the Nordic and Baltic regions receiving the Android 5.0 Lollipop update, though the company did not make any official announcement. Less than a week ago, Sony had announced that the Android 5.0 Lollipop update for the Sony Xperia Z2 and Sony Xperia Z2 Tablet would start rolling out from next week. The Japanese smartphone manufacturer also announced that the Xperia Z3 Tablet Compact had begun receiving its Android 5.0 Lollipop update, while two other Sony smartphones - the Sony Xperia T2 Ultra and Sony Xperia C3 – would begin receiving the Lollipop update "soon." 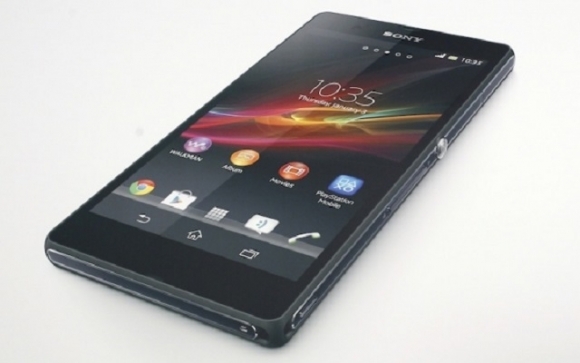 The Sony Xperia Z had made its debut in January 2013 and Sony's latest teaser featuring the Xperia Z indicates that the company remains committed to getting Lollipop to the aging member of the Z series. However, the teaser does not provide an exact date and only promises that the update will "come soon." Sony had earlier announced that it would not roll the Android 5.0 Lollipop update for smartphones that are not included in its Xperia Z line, except for the Xperia T2 Ultra and the Xperia C3, which should soon receive the update.